Deep in the heart of Los Angeles (where celebrities are more common than people running around the national capital region on Saturday), lies the Staples Center which will play host to the battle between Ukraine’s own unified lightweight champion Vasiliy Lomachenko (12-1) and the United Kingdom’s own Anthony Crolla (34-6-3). The fight location is appropriate as the champion Lomachenko tends to make things look cinematic in the ring when he faces his opponents. 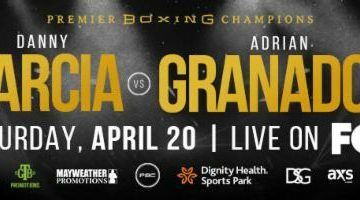 Let’s take a look at each fighter and what they are bringing to the table on Friday evening in downtown Los Angeles. Let’s start with the challenger Anthony “Million Dollar” Crolla, who last fought back in November which resulted in a twelve round unanimous decision victory over Daud Yordan. 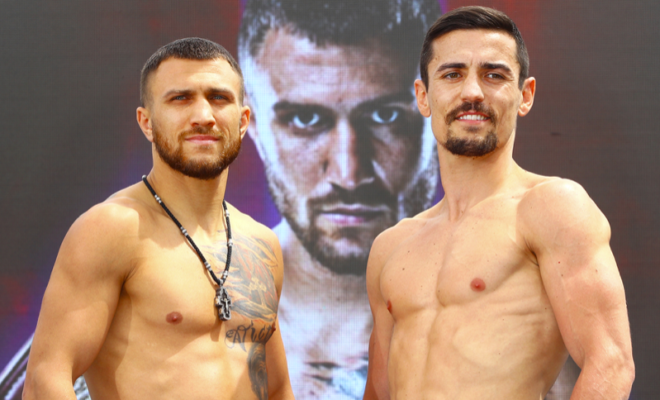 Crolla is a heavy underdog versus Lomachenko on April 12. In this fight, Crolla (above in Mikey Williams pic) was the aggressor but Yordan was a “game fighter” and did not go away easily which led to the decision. 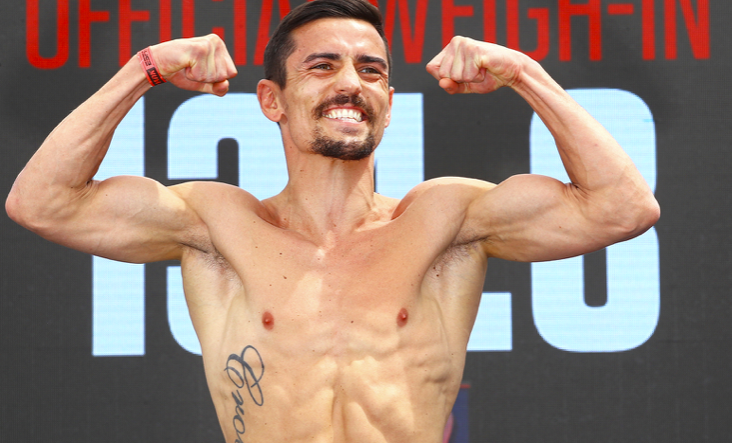 Anthony Crolla has stayed pretty consistent by only fighting twice a year since 2015 and is looking to shock the world by doing something that only one fighter has done and that’s beat Lomachencko. Looks as though Anthony Crolla is coming in with a chip on his shoulder but will it be enough on Friday night? Now we get into the man that is often referred to as “The Matrix”. 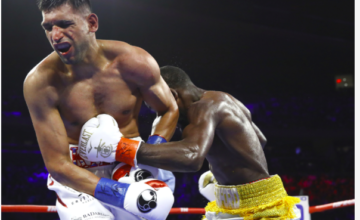 Vasiliy Lomachenko (in Mikey Williams pic) is coming off of a unanimous decision victory over Jose “Sniper” Pedraza which was held in the bright lights of New York City. 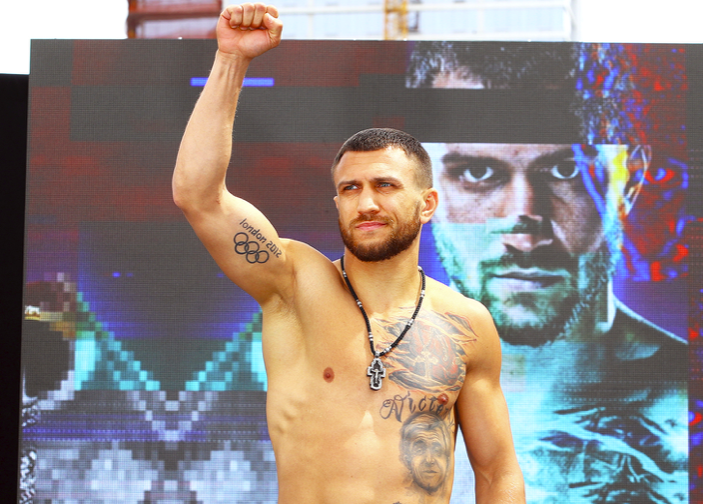 Loma is heavily favored…but he has heavy mileage on him, so who knows? In that fight, Mr. “Hi-Tech” was on full display but towards the middle of the fight, there seemed to be a cloud of doubt above him that saw him throw less from that surgically repaired right shoulder. This had many fight fans questioning whether we were seeing a bit of decline in Loma or if the shoulder just wasn’t as ready to be used as he thought it would be. The only person that truly knows would be Loma and this fight will determine if it was just an “off night” at the Garden or if we are seeing the weight of such an extended amateur background now start to come into play with the 31 year old Ukrainian. 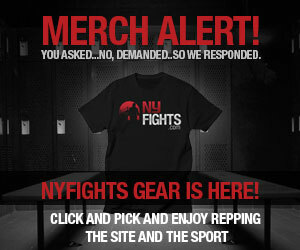 While running through this trailer, I reached out to John “Gatman” Gatling (Senior Writer at NyFights.com) who was running the streets of Gotham, to ask how he saw this fight playing out and will the trailer reveal any plots to the movie. Without further ado, Gatling! “I don’t know who’s directing this “film” you’re pitching at the studio that will be Staples Center on Friday night, but it won’t be Anthony Crolla,” said The Gatman, from Gallagher’s Steakhouse in Manhattan, breaking bread with Claressa Shields and Christina Hammer before their middleweight unification showdown Saturday night on Showtime (9pm/ET) from Boardwalk Hall in Atlantic City. 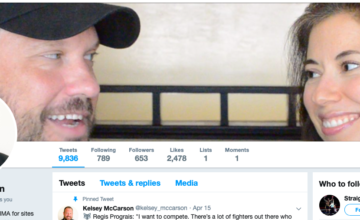 Boxing fans, there you have it! On Friday night, we will get the full motion picture of “Loma the Matrix” but the question is, will the fans enjoy the movie, ask for a sequel or throw popcorn at the screen. Friday can’t come fast enough!